Omega Sky Taxi Ltd has taken over the ownership of Sky Leisure Aviation operations and is planning to be fully operational as an EASA Approved AOC operator in 2015. It already has full EASA ATO status (licence no. GBR.ATO-0330) for flight instruction for the same range of courses. For more details please contact our office on 01273 464422 for more information. There are many advantages to be found in chartering your own aircraft and surprisingly, it can be just as economical as flying by scheduled airline, without the difficulties of leaving from major airports with the associated hassle of delays. 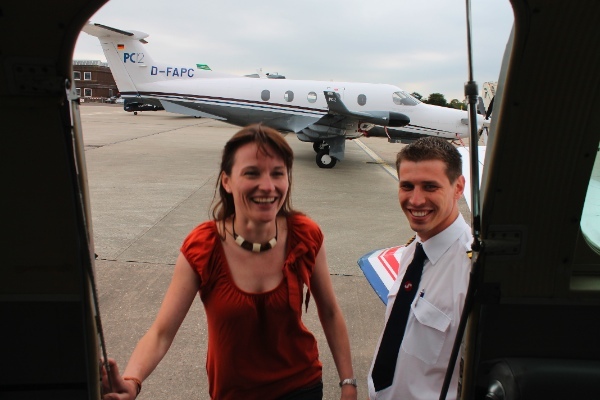 Family, social or corporate days out can be taken in style by arriving to a vast number of destinations by your own aircraft… meaning that you have more time to do the things you enjoy. Be sure to read about our air taxi and charter, air ambulance, aerial photography and emergency parts delivery services, too.